To format any storage drive in Windows, you just have to right-click on the drive and select the Format option. It's a straight-forward affair. No deep menus, no nothing. But, there will be times when this process fails to format USB drive and throws bizarre errors like unable to format, unable to assign the drive letter, etc. In those situations, you can try formatting USB drive from command prompt. 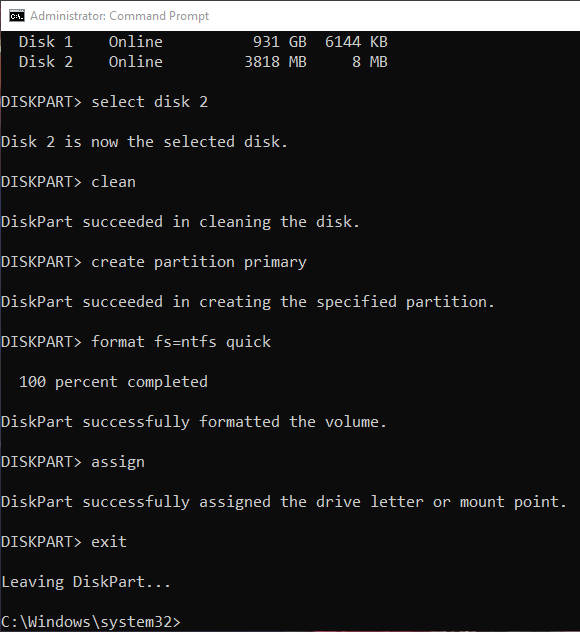 Below are the steps needed to format USB drive from command prompt. Follow them one by one and you will have a formatted drive in a few seconds. Warning: before formatting the USB drive, backup any date in it. Formatting a drive deletes all data in it irrecoverably. The below method works in Windows XP, Vista, 7 and 8. 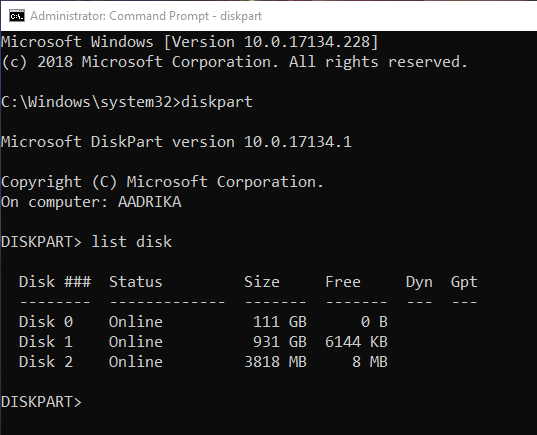 Formatting USB drive via command prompt is far easier than you think. All you have to do is select the drive and execute a specific format command. 1. First, plug in the USB drive. 2. Search for cmd in the start menu, right-click on Command Prompt and select "Run as Administrator." 3. To format the USB drive, we need to make use of the Diskpart tool. So, execute diskpart command. 4. You will now be inside the Diskpart utility. Execute list disk command to list all the disks in your system. 5. From the above list, identify your USB drive. You can generally identify the USB drive using its size. For instance, I've plugged in a 4GB pen drive. So my USB drive is represented as "Disk 2" with 3818MB. 6. After identifying the USB drive from the list of disks, type the below command and press Enter to execute the command. 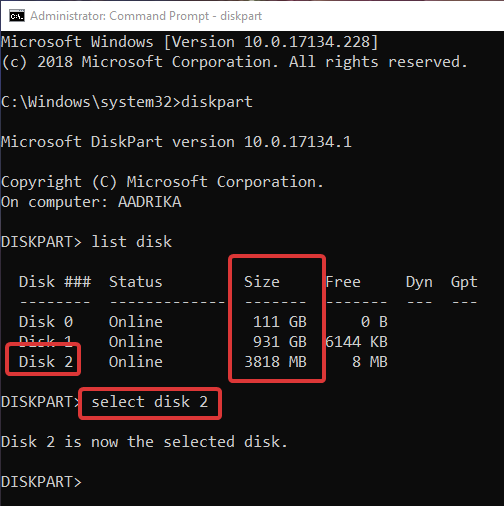 Replace <diskNumber> with the actual disk number. Once you replace the above command with the actual disk number, the command will look something like this. 7. After selecting the disk, you need to clean it. Execute the below command to clean the USB drive. 9. Now we can format the drive. Execute the below command to format the USB drive with the NTFS file system. In general, Windows drives are formatted as NTFS. If you want FAT32 file system then replace ntfs with fat32 in the below command. The "quick" part in the command is signaling the system to do a quick format. You will see it as a checkbox when you try to format drives from File Explorer. 10. Even after formatting, you will not see the USB drive in the File Explorer. This is because Windows did not assign any drive letter to the newly formatted drive. You have to specifically tell Windows to assign a drive letter. So, execute the below command to assign a drive letter to your USB drive. 11. That is it, you are done formatting USB drive from command prompt. Remember, we are within the Diskpart utility. To get out of it, execute exit command. 12. After that, you can close the command prompt Windows by clicking on the "X" button on the title bar or by typing exit again. 13. 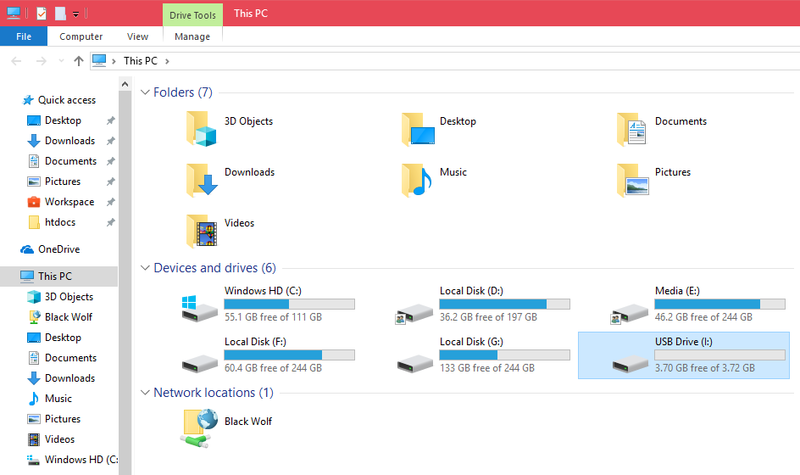 If you open the File Explorer, you can see your drive all formatted and neat. See, it's not that hard to format USB drive from command prompt. Comment below sharing your experiences or any problems you face while formatting USB drive from command prompt. If you like this article, do check out how to zoom in and zoom out in command prompt and PowerShell and how to command prompt or PowerShell cursor size, color, and shape.